The Blu-ray market is really heating up as the holidays approach and shelves are dominated by great special releases, Summer 2015's biggest blockbusters, and more. Netflix has been a little quiet lately, although recent additions include two films that played at Ebertfest 2015, one of which we're also covering in the DVD section (and there's a third Ebertfest movie in this week's column in that section too). "A Pigeon Sat on a Branch Reflecting on Existence"
The best animated film in five years is finally out on Blu-ray and seems likely to be the best-selling Blu-ray and DVD of the season. Much has been written about how deeply "Inside Out" speaks to adults, who perhaps not that long ago learned the tough lesson that sadness and joy need each other. 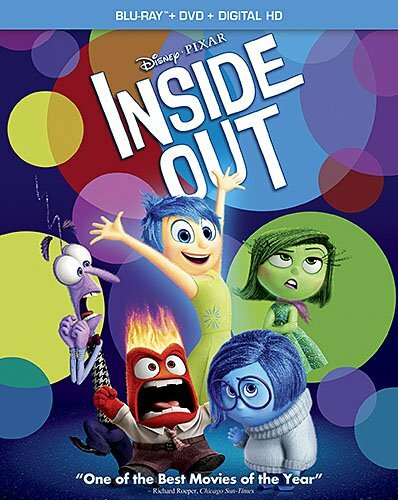 At its core, that's what "Inside Out" is about, the incredibly complex fact that sadness is healthy. Depression for young Riley in the film isn't control by Sadness, it's a lack of emotion. The message that we don't always need to be joyful to be content or even happy is an amazing one. But what really strikes me about "Inside Out," watching it at home again with my three boys, is how much the kids get it. My toddlers really understand "Inside Out" on a level I'm not sure we can even appreciate. This is a fantastic film. I'd even say it's an important one. And one of the best of 2015. The Blu-ray is strong. Expectedly striking colors in HD, supplemented by interesting material that can sometimes be a bit too Disney in its editing but is also informative. Kids will like the two short films, including "Riley's First Date?" and "Lava," which played before the film in theaters (and I find kind of annoying). "Date" is a fun little piece, and further proof that we probably haven't seen the last of the world of "Inside Out." Paths to Pixar: The Women of "Inside Out"
Into the Unknown: The Sound of "Inside Out"
Only in the HECG could we shift gears from a 2015 Pixar film to a Japanese horror beauty made a half-century earlier. I should have gotten to this before Halloween, but sometimes things get delayed, and this is a horror movie that holds up any month of the year. Based on Lafcadio Hearn's turn-of-the-century book of ghost stories, this three-hour epic is one of the most gorgeously staged and executed films of its era. And the number of films that have cribbed from Masaki Kobayashi's masterpiece is too plentiful to count: basically most ghost stories of the last 50 years. As is often the case, Criterion presents a history lesson with the film. I wish there were alternate cuts, but it's interesting to hear film historian Stephen Prince discuss them, including the fact that American audiences didn't see the ENTIRETY of the amazing second segment in this four-story anthology (a true sin since I think it's the best). Prince's commentary is excellent, but it's the 2K restoration that's the real draw. 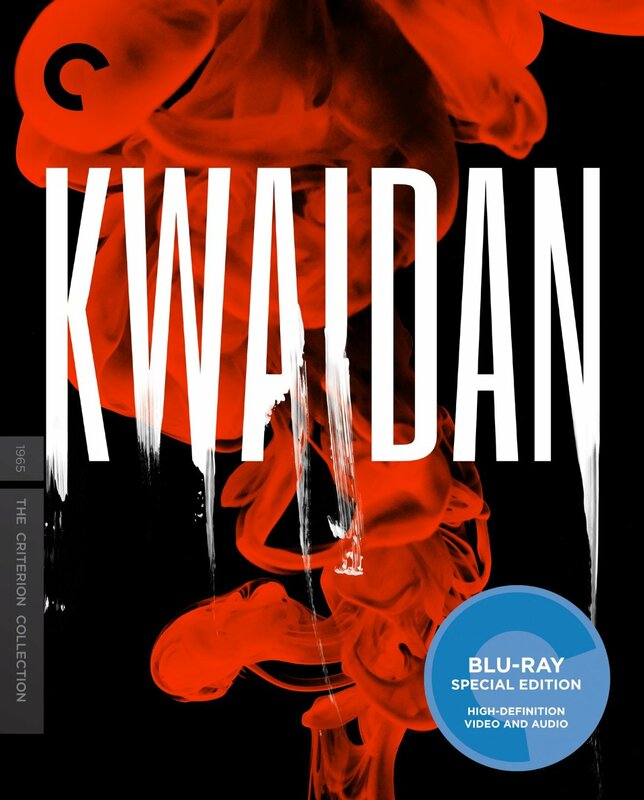 This is a truly beautiful movie given the Criterion restoration treatment. What more do you need to know? Can distributor A24 keep Jason Segel's performance and Donald Margulies' script in the awards season conversation? I truly hope they can. This Sundance and Ebertfest hit proved somewhat divisive when it was released, but I still adore Margulies' ear for the way writers talk to each other, James Ponsoldt's grounded direction and the two performances at the core of this excellent drama. Segel plays David Foster Wallace not as caricature but as remembered by Jesse Eisenberg's David Lipsky. 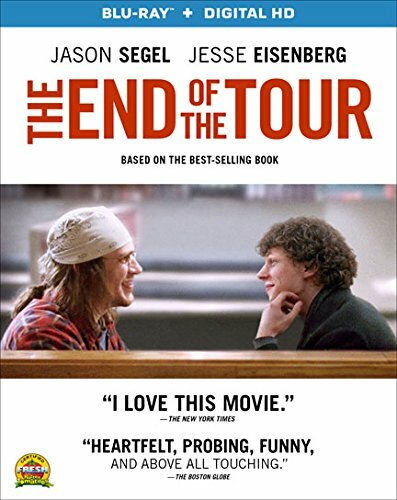 And this tightened approach, both in perspective and time period, allows "End of the Tour" to not be a definitive biopic but a study of intellectualism and writers. It's funny, smart and incredibly well-made. It's a movie that will continue to find an audience through word-of-mouth. And maybe even an award or two. 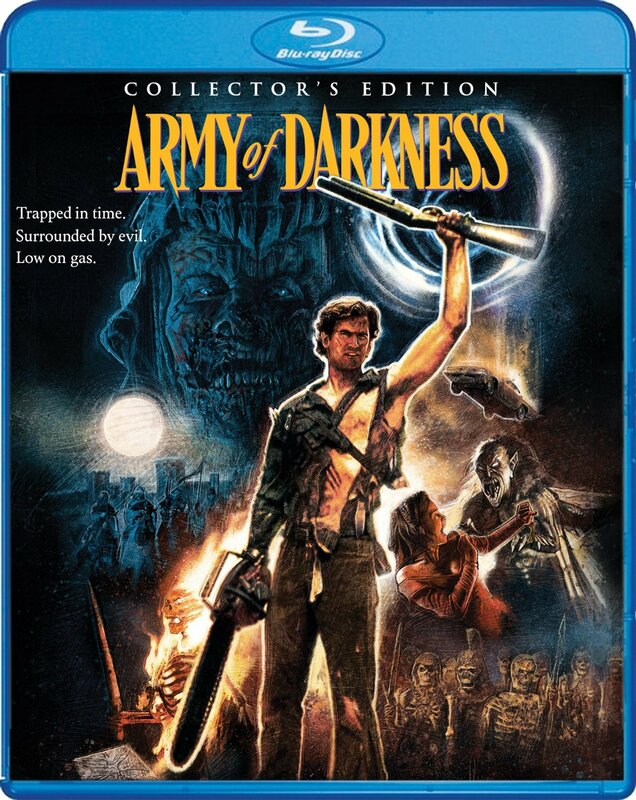 Scream Factory is at it again with a glorious Collector's Edition for one of Sam Raimi's most beloved films, "Army of Darkness." With Starz's "Ash vs. Evil Dead" getting good reviews and even a second season already, it's time for the Ash-aissance. The movie itself has held up well (better than I expected), but this is all about special features, including three discs with three different versions of the third "Evil Dead" film, lovingly referred to and almost called "Medieval Dead" (it really should have been). Bruce Campbell and a number of the other key players (although not Raimi) show up on a new documentary about the film's production, some of which will feel a bit repetitive if you listen to the excellent commentary track on the second disc with Campbell and Raimi. Deleted scenes, alternate endings, and more featurettes than you could ever possibly need—Scream Factory is killing it when it comes to excess, and "Army of Darkness" is a movie for which excess is key. New Medieval Times: The Making of ""Army of Darkness""
Ethan Hawke quietly made his directorial debut with this excellent documentary about Seymour Bernstein, an accomplished pianist who also happens to be a pretty deep thinker. In fact, Hawke made the film after having a conversation with Bernstein at a dinner party. Try and remember the last time you met someone so interesting you thought they could carry a documentary. In many ways, "Seymour" is just a replication of that meeting. It's a series of conversations, some of them fascinatingly biographical, but many of them simply about the nature of art, philosophy, and what's important in life. 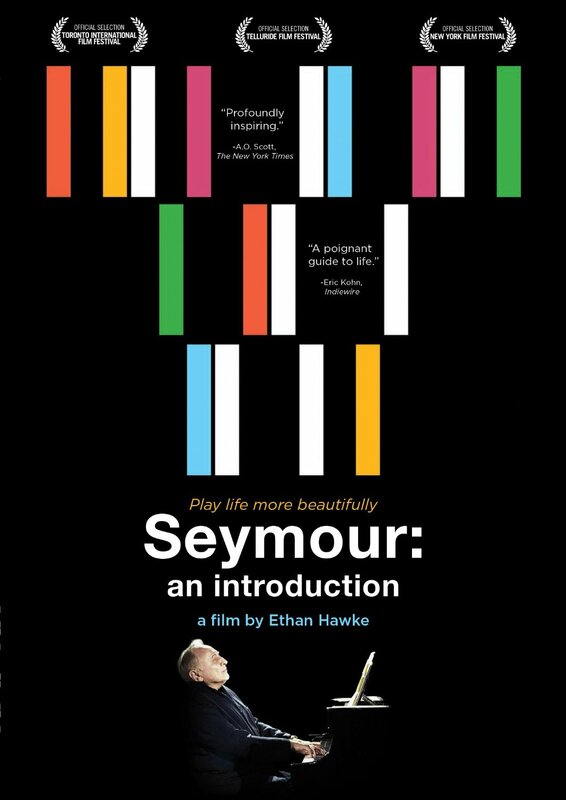 "Seymour" is a delicate, gentle, excellent film. In fact, the biggest problem with its home release is it's yet another case in which IFC/Sundance has chosen not to go with Blu-ray, opting for DVD-only. In 2015, everything should get an HD option. Yes, even a documentary about a retired piano player. Everything. Here's one you can get in HD, and it's a 22-minute TV special. Why include it here in a column designed to highlight only the most exciting new releases? Because it's "Toy Story," and there will always be a place in my heart for Woody and Buzz. 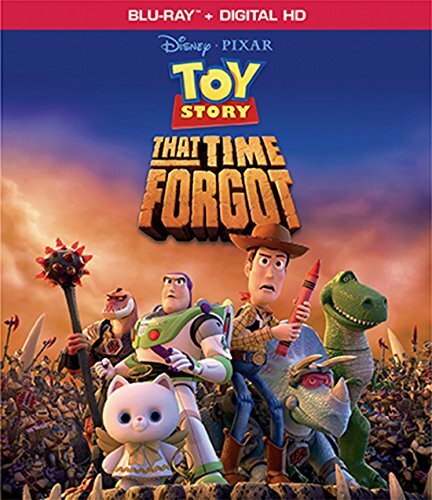 I prefer the Halloween-themed "Toy Story of Terror" to this bit about a group of Battlesaurs who don't realize they're toys (clearly repeating the beats of the first film in minor fashion) but this is still a cute holiday gift idea. It's not that expensive, and you can never have too much Woody and Buzz. Joel Edgerton's thriller is one of those few films that we can honestly call a sleeper hit (an over-used phrase). When I saw it, I thought it might catch on a bit but coming out in a crowded summer would hurt it. I don't think even Edgerton knew how big it would get (I talked to him just before it opened and he was understandably nervous). 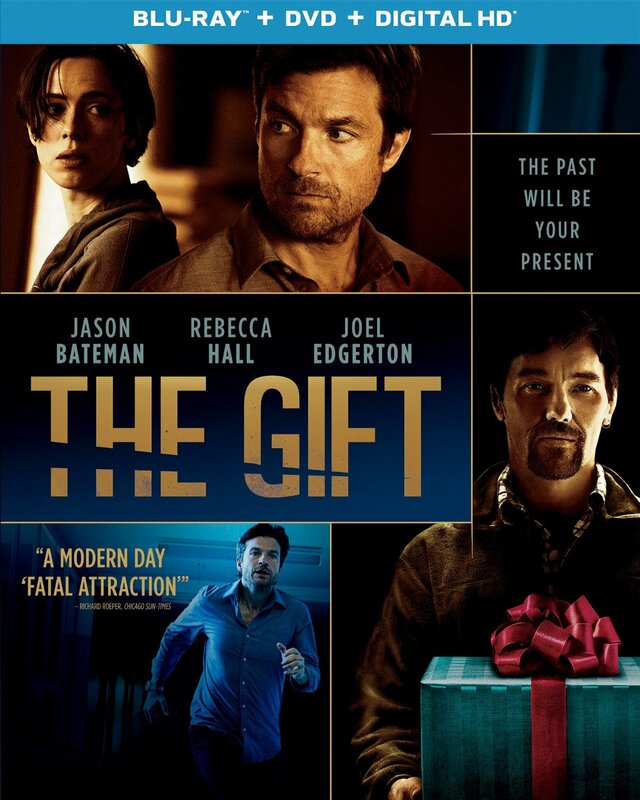 "The Gift" cost $5 million and has made almost $60 million to date. That's 12-times the budget. And it's the kind of film that will find an even bigger audience on the home market, which has always been dominated by action and thrillers. Why did "The Gift" work? Counter-programming is part of it (you couldn't get much further from something like "Ant-Man" or "Pixels") but it's also just a tight, well-made piece of work, with three strong performances and a real eye by Edgerton, proving he studied cinema, mostly of the '70s, before he made it. I kind of can't wait to see what he does next, especially with the creative control he'll have after this hit. I'm one of the few defenders of Kurt Sutter and Antoine Fuqua's defiantly old-fashioned drama, but I stand by it. Is it a great movie? No. It's too broad and self-indulgent when it comes to its cliches. But there's something in the way Jake Gyllenhaal and Forest Whitaker commit to those cliches that's engaging. 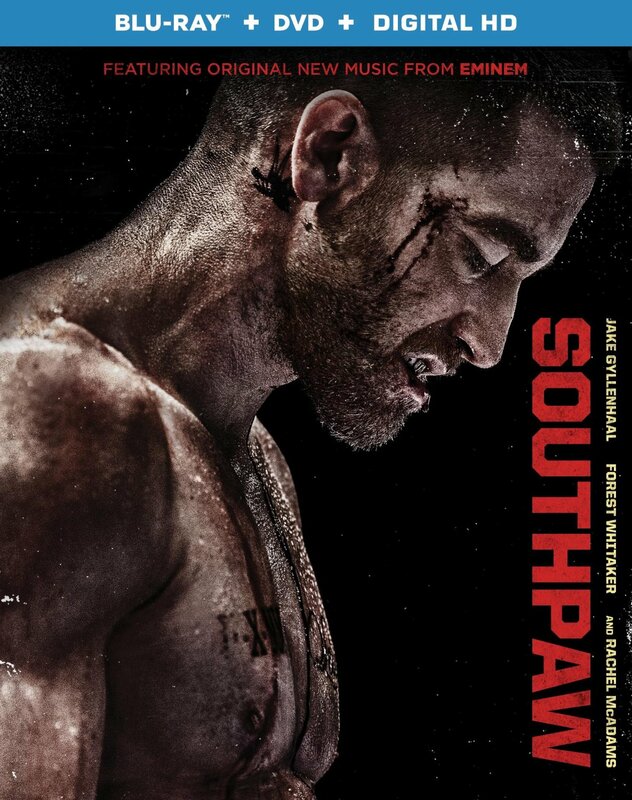 There's nothing lazy about "Southpaw," and the films that turn me off are the ones that feel like cheap, lazy products. In terms of its home release, the film has some solid featurettes and deleted scenes. This is also the kind of movie that usually kills on home video. Ah, "Vampires." 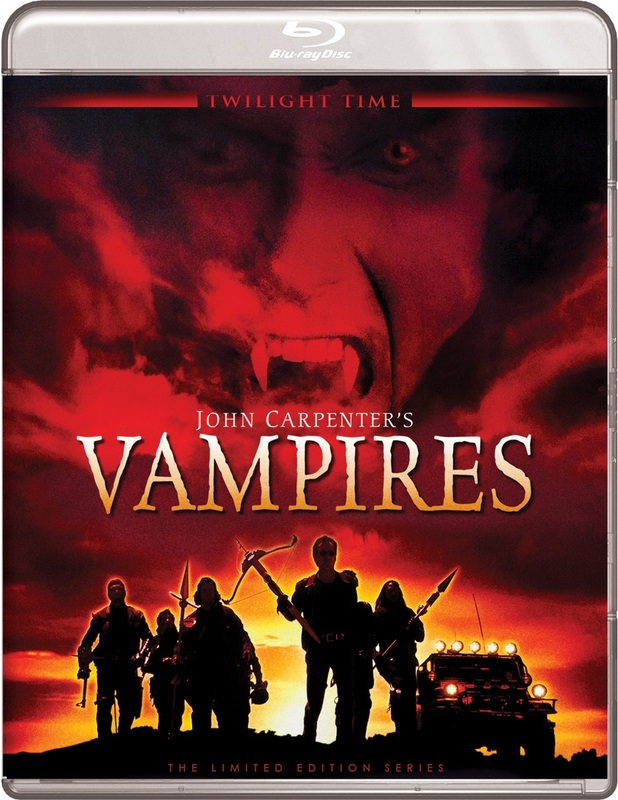 Getting the Twilight Time release in the mail this week, I held out hope that John Carpenter's 1998 flick was better than I remembered, and that TT's brilliance with transfers (they all look amazing) would allow its strengths to shine through. I was both right and wrong. Carpenter's direction is better than I remembered. Look at his use of space. And I choose to believe the macho misogyny at work in "Vampires" is a commentary on that kind of dude-bro behavior and not an approval of it (someday I'll list the evidence to support that theory). The problem with "Vampires" is the casting. James Woods is no Kurt Russell. Daniel Baldwin is no, well, anything. He's SO boring. In fact, when Mark Boone Junior gets cut in half during the film's early hotel massacre (arguably the best scene in the flick), "Vampires" might lose its best actor. Ah well. I still love John Carpenter. And this flick looks great after the Twilight Time treatment. It's just that its weaknesses have been as amplified as its strengths. NEXT GUIDE: "The Apu Trilogy," "Code Unknown," "Mr. Holmes," "Trainwreck," "Better Call Saul" and more!